HELP SAVE GRAVETTE'S LOCAL PARK! Help save Issaquah Skatepark! 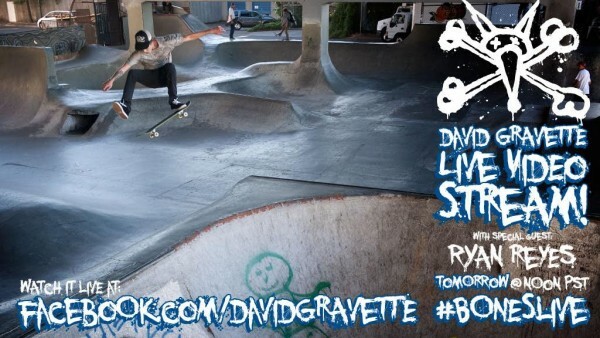 David Gravette and Ryan Ryes will be doing a‪ #‎BONESLIVE‬ at Gravette’s hometown park on Saturday Sept 19 at 12:00pm PST. Head over to Gravette’s Facebook page on Saturday at NOON PST for your chance to win ‪BONES WHEELS prizes, ask questions, donate cash, request shout outs or whatever you’d like! Watch it here and help save a skatepark – Facebook.com/davidgravette.